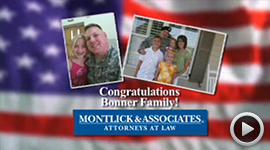 The Bonner family has won a trip to Orlando, Florida from Montlick & Associates! 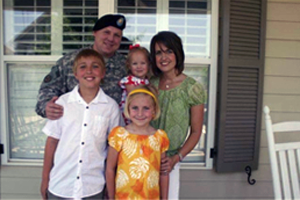 The Bonner Family of Fayetteville, GA was voted the 2010 Most Deserving Military Family after a family member sent in their story. "Major Josh Bonner has served 4 years of active duty and has been in the Army Reserves for the past 8 years. He is a strong leader in his military unit as well as in his community and church. 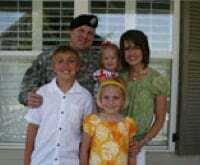 He is a loving husband and father of 3 who will be leaving in October for a year of service in Iraq. He had planned to take his family to Disney World this summer but because of economic hardship those plans were put on hold. His children are ages 10, 7, and 2 and they would truly love to have this family vacation with their dad before he leaves. 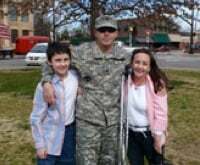 Josh is very dedicated to serving his country and volunteered for this assignment knowing what a huge sacrifice it would mean to be away from his family that he adores." WSB-TV selected the 5 finalists from entries submitted and then the public voted for the winner on wsbtv.com. Montlick & Associates is happy to provide the Bonner Family with a much-deserved paid vacation to Disney World in Orlando, Florida! 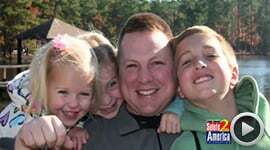 I'd like to nominate Major Josh Bonner and his family of Fayetteville, Georgia as being the most deserving of receiving this grand prize trip to Orlando. He has served 4 years of active duty and has been in the Army Reserves for the past 8 years. He is a strong leader in his military unit as well as in his community and church. He is a loving husband and father of 3 who will be leaving in October for a year of service in Iraq. He had planned to take his family to Disney World this summer but because of economic hardship those plans were put on hold. His children are ages 10, 7, and 2 and they would truly love to have this family vacation with their dad before he leaves. I know they would make wonderful memories to hold on to while Major Bonner is deployed. Josh is very dedicated to serving his country and volunteered for this assignment knowing what a huge sacrifice it would mean to be away from his family that he adores. I would like to nominate my children, Shelby; and Tyler, who are 15 and 12. Their father was one of the 5 US soldiers injured in the Feb. 2010 suicide bomber on an Army base in Afghanistan. Their father has gone through numerous surgeries. 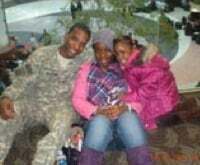 My children are brave soldiers to endure their father going through so much. Shelby has gone through 2 heart and 1 neck surgery of her own. At the present she has an enlarged aorta. I think the children of fathers who serve should be recognized for the sacrifice they give for our country. Anna Marie Dingess is only the 29th child in the US to be diagnosed with Pseudotumor Cerebri. She is the daughter of Mark and Joy Dingess of McDonough, Ga. Mark is in the Active Duty Reserves and is currently at the beginning of a one year overseas deployment. Mark and Joy have three beautiful children: Anna, Alexandria, and Austin. Anna's disease has hit this family hard. She requires frequent treatments from a specialist in Ohio. It is costly and time consuming and has involved numerous brain surgeries. There is no cure for this disease. With Mark on deployment, the responsibilities now fall on Joy alone. She will soon be taking on custody of Mark's sister's daughter Irene. This family has been through more in the last few years than most endure in a lifetime. They are humble and thankful despite all their hardships. They are stronger because of them. I hope everyone understands the sacrifice these servicemen make. My son SGT. Amos B. Hudson has been sent 4 times in the last 6 years. He has a 5 year old whom he's spent more time away from than has spent with. His lovely wife Rhonda has held down the home front with the grace of God and a song in her heart. It would be great for them to have a great get away to bond and spend some family time. What a perfect gift to give to a more deserving little family! I would love to nominate this sweet family on their way to FLORIDA!!! 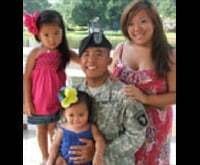 Their hero is Mr. Chai Vang who is currently serving the states in the US Army in infantry. 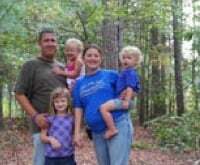 He is married to Ms. Joyce Her and has 2 lovely beautiful girls named Autumn & Kaitlyn, ages 4 and 1. As you can see, even Mommy and Daddy are still young! The girls are full of personalities and would so love the trip down to meet their good friends, Mickey Mouse and the rest of the crew for the first time!!!! I know the family has always wanted to go down to Florida but due to many financial problems it has been a problem to really go anywhere. I know that they deserve to go and enjoy their time together as a family before their Hero gets deployed to Iraq this year.